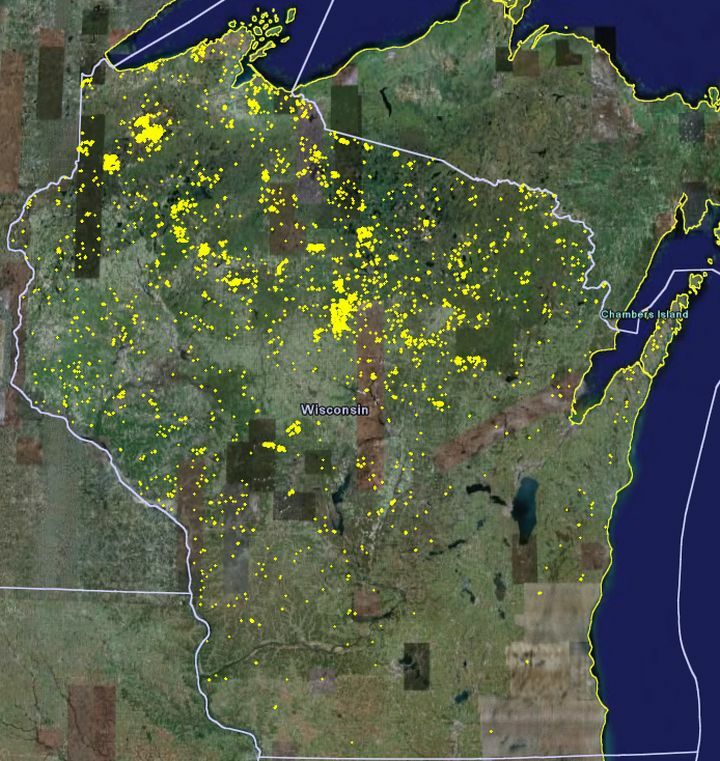 Get instant access to our digital maps of ALL 195,162 acres of Wisconsin Forest Crop Law lands. 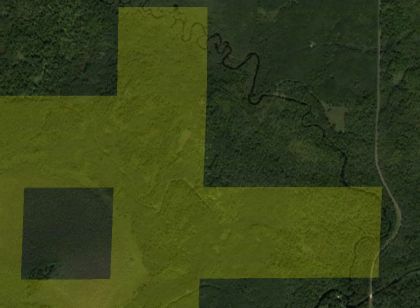 FreeHuntingLand.com is the only place you can see nearly all the Forest Crop Law (FCL) land in one place, with Google Earth, overlayed on satellite imagery with GPS location. Includes DNR Managed lands, National Forest land, Managed Forest Law land, County Forests, and Crop Damage Shooting Permit Participants too! Get Instant Access Now! 1. Open to the public for hunting and fishing. 2. Structures for human dwelling are not permitted. 3. Owner pays $0.10/acre annually if enrolled before 1972, $1.66/acre if enrolled after 1972. 4. Owner pays termination tax based on the stumpage value of standing timber if owner declines to enter Managed Forest Law (MFL) program when the Forest Crop Law (FCL) contract expires. 5. If the terms of the contract are violated or land is withdrawn from the FCL program, the landowner is liable to pay a penalty. 6. Read more about Forest Crop Law Hunting Land at Wisconsin DNR site. 7. The picture on the right is a close up of approximately 280 acres of Wisconsin Forest Crop Law land in Douglas County.